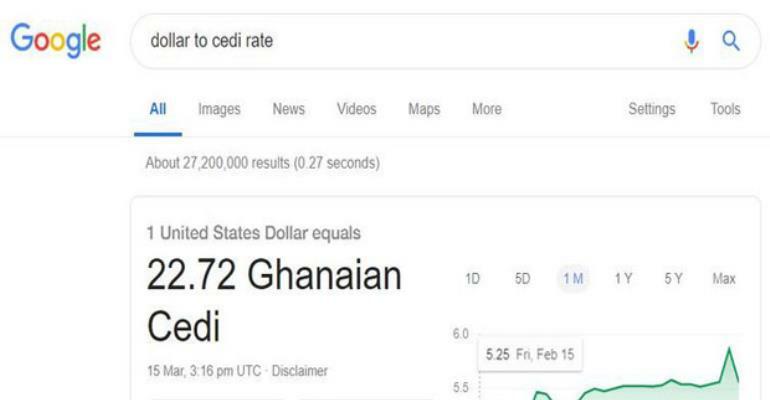 Google's currency converter widget on Friday, 15th March, 2019, displayed a cedi to dollar rate that was four times the actual value, alongside erroneous market rates of a number of currencies against the Ghanaian Cedi. She said Goggle has always sought to provide people with the most relevant, useful information to help them to make the right decisions, “but sometimes there are temporary issues that can cause people to have undesired experiences, like the one this past Friday. This was regrettable,” said Mrs Akinsanmi. Although she expressed regret over what has affected two other countries since the beginning of the year, Mrs Akinsanmi stopped short of apologizing for the glitch.